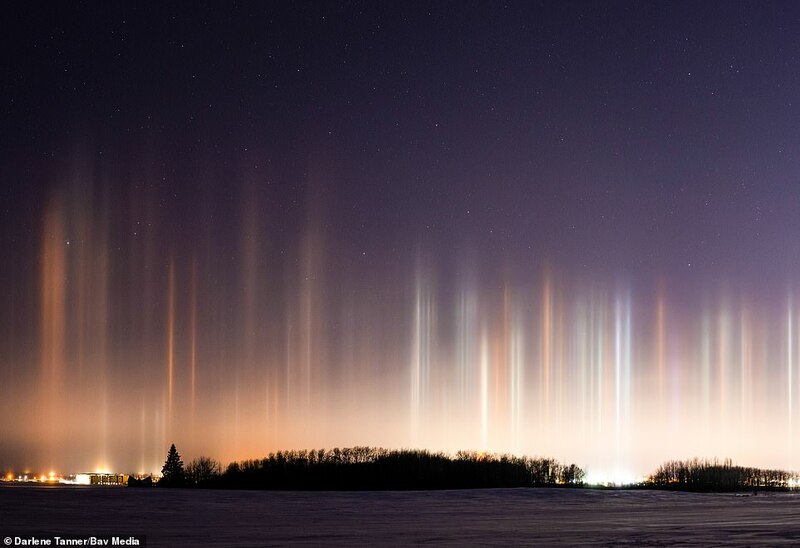 A photographer has captured stunning images of a rare natural phenomenon as freezing temperatures and tiny flakes of ice create an illusion of light pillars reaching into the night sky above Canada. 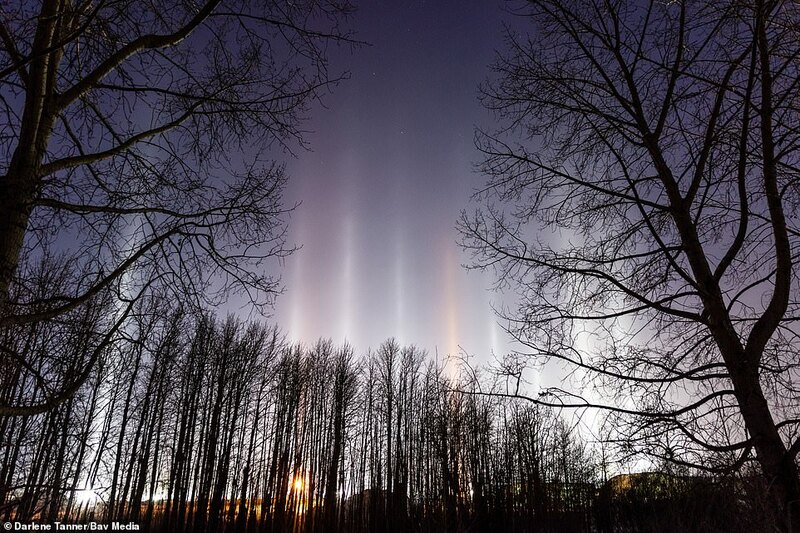 Darlene Tanner took the unusual photos of the atmospheric optical phenomenon in Lacombe, Alberta in Canada this week as temperatures plunged to -30C. 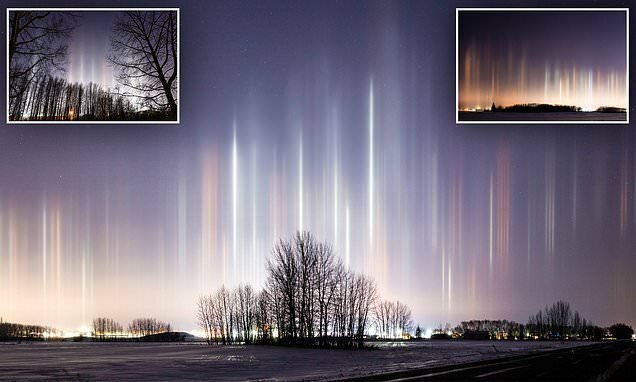 She also took some shots of the rare light pillars in the town of Blackfalds in Alberta as the low temperatures helped to create the right conditions. 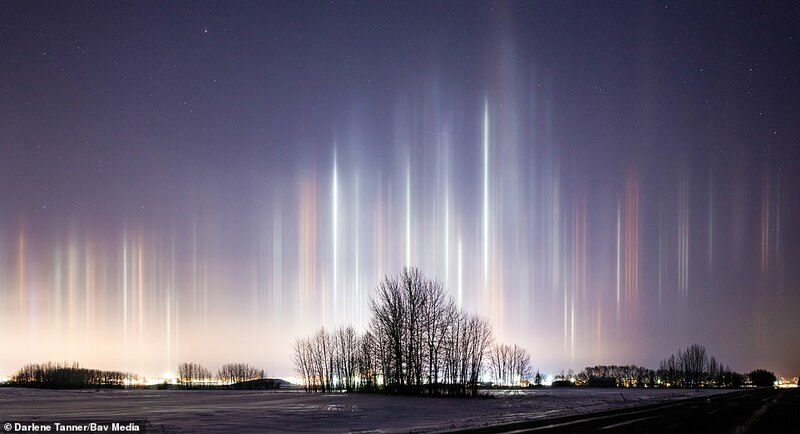 Light pillars are created by the reflection of light from millions of tiny ice crystals suspended in the atmosphere. They form a vertical band of light which appears to extend above a light source – in this case the lights from buildings. But the ice crystals spread across varying horizontal distances and heights to the viewer makes them appear as if they are going up in a continuous vertical from one point. The crystals responsible for the pillars gather together to act as a giant mirror, which reflects the light source upwards or downwards into a virtual image.